Suit up, maestro! 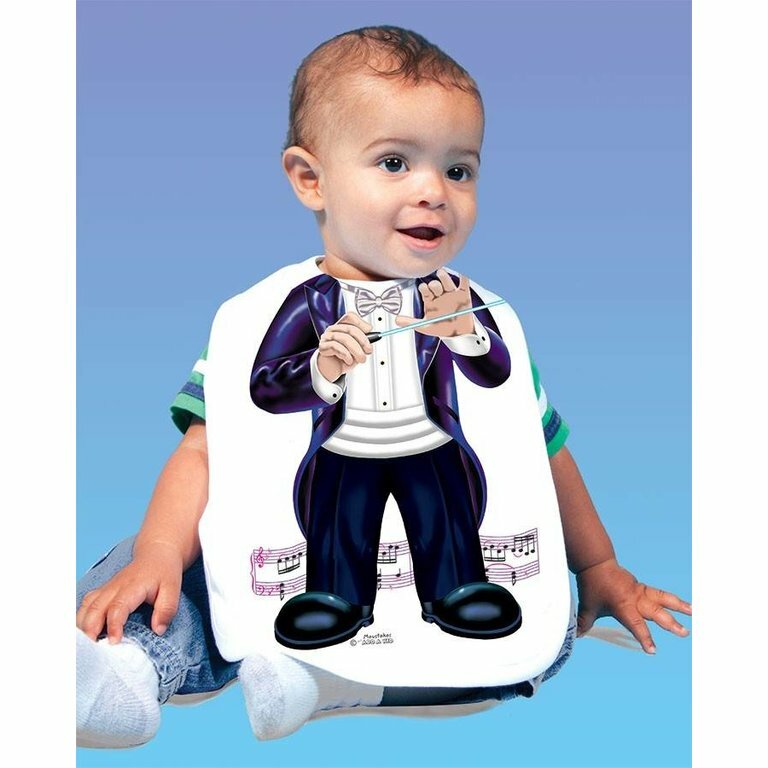 It's time for your dinner debut! 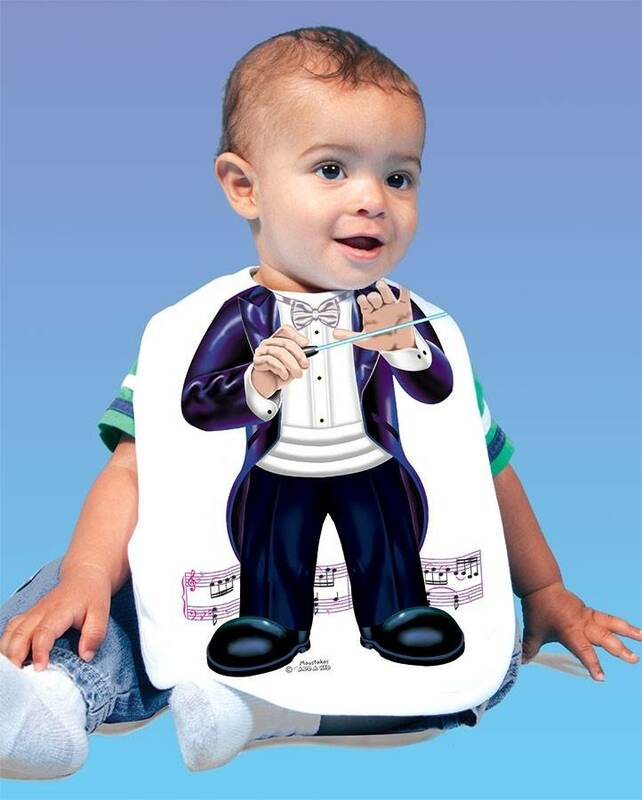 Make sure your baby is concert ready and picture perfect with this adorable conductor bib.